Two US politicians from Florida – one Republican, one Democrat – have put forward a proposal for a bill to make cruelty against animals a federal felony. Currently, each of the 50 states of America have laws in place to protect animals from cruelty and torture. However, this is at state level and the lines become blurred once the animal in question crosses state lines. Representatives Ted Deutch and Vern Buchanan intend for the Preventing Animal Cruelty and Torture (PACT) Act to help to broaden the scope for prosecution. For example, under the PACT Act, authorities can pursue perpetrators on account of possessing federal jurisdiction. They may also prosecute in circumstances where the act of cruelty took place on federal property. This bill, which has been endorsed by the National Sheriffs Association as well as the Fraternal Order of Police, means an individual can be prosecuted for subjecting an animal to the following cruelties: crushing, burning, drowning, suffocating, impaling or sexual exploitation. People who are convicted under the PACT Act would be charged with a federal felony, fines and a prison sentence of up to seven years. Exceptions outlined within the legislation would be made for hunting. 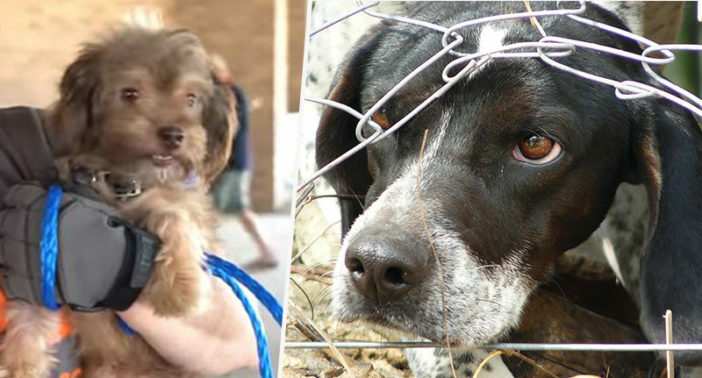 This is commonsense, bipartisan legislation to bring some compassion to our animal laws. We’ve acted in the past to stop the horrific trend of animal abuse videos; now it’s time to make the underlying acts of cruelty a crime as well. As reported by People, the PACT Act has already passed Senate two times already. However, the bill has yet to pass the House of Representatives. We have highly motivated bill sponsors who anticipate early movement due to its strong bipartisan support. In the last Congress the House bill had 284 bipartisan cosponsors, but was held up by a committee chairman who has since retired. The bill provides law enforcement with the tools it needs to crack down on egregious animal cruelty on federal property or in interstate commerce. Animal cruelty isn’t self-contained by state but moves across state lines, so this bill is critical to stomping out crime. It’s supported by law enforcement, prosecuting attorneys and the Humane Society Legislative Fund. In the 115th Congress there was overwhelming support for legislation protecting animals from abuse, but it never received a vote. Today, I reintroduced the PACT Act with @VernBuchanan and we will get this done. It’s bipartisan, common-sense policy that will protect our animals. It is hoped the PACT Act will build upon 2010’s Animal Crush Video Prohibition Act, which prohibits the creation and distribution of sickening ‘crush videos’. These repulsive videos show the torture of animals and are intended for the gratification of viewers. [The Animal Crush Video Prohibition Act] was a crucial step to take. However, that law does not cover the underlying acts of animal cruelty themselves, which are generally offenses under state law subject to prosecution by the states. However, since it isn’t always known where the actual acts of cruelty took place, it can be hard to bring a case under state law. This is very important and long overdue legislation. Thank you, thank you. Hopefully we will see significant improvements in regards to animal protection going forward.